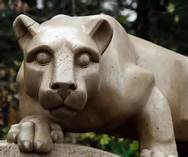 The Nittany Lion Fund (NLF) was founded in 1999 along with its parent organization, Penn State Investment Association (PSIA). For the first six years, the founders were unable to receive funding to pursue their goal of an actively-managed fund. In 2004, the club made a pitch to Smeal faculty, and Penn State professor J. Randall Woolridge agreed to pursue the idea. The club made its first trades in 2005, and the Nittany Lion Fund, LLC was created. The Nittany Lion Fund offers a Wall Street experience, right here in State College. The fund currently has $7 million invested in 65 companies in a variety of fields and sectors. Fund members meet three times a week to review the fund’s performance. If the members wish to make a trade, they hold a vote during meetings. While the NLF isn’t the only student-managed fund on a university campus, it is unique in that all of its funds come from private investors. Penn State did not provide the initial $2.2 million the fund received in 2005. Many of the investors are Penn State and Smeal alumni.